In this example we are working with a base of Grimas Camouflage Make-up. The optimum colour approaches as much as possible the colour of the own skin. Read more >> X Take the Camouflage Make-up out with a clean spatula. Rubbing it with your fingertip will make it softer and easier to handle. If desired, you can make the texture softer and affect the colour by blending the Camouflage make-up with Crème Make-up or Foundation, for instance. 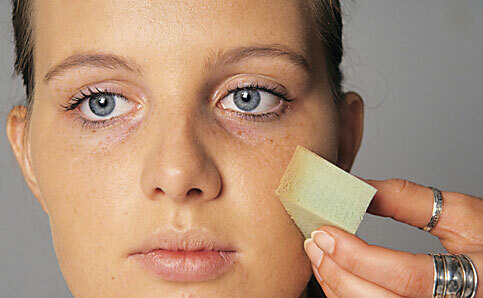 Read more >> X Apply it with a slightly damp latex sponge or make-up sponge onto the skin. Work the base out properly, up into the hairline, and do not forget the ears and neck. This is how you avoid a mask-like effect. 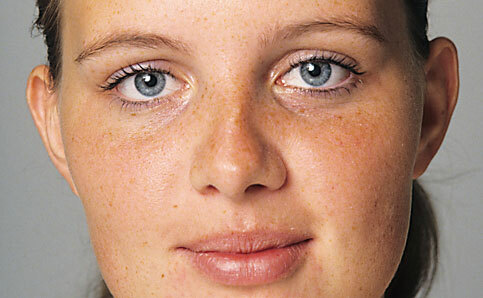 Read more >> X A dark shadow under the eyes or other irregularities you neutralise with IV5. Fix the make-up with plenty of Fixing Powder. Fixing Powder is transparent and does not influence the colour. 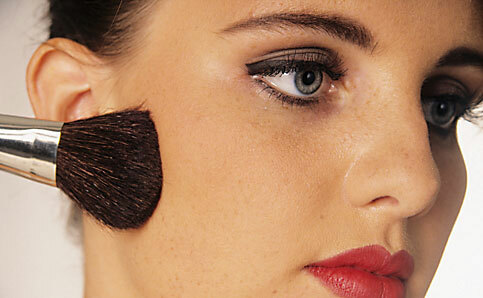 Fixing Powder can be applied with a Grimas Velour Powder Puff, a Powder Puff or a Powder Rouge Brush. Gently tap the puff or brush on the back of the hand and then apply plentifully on top of the make-up. Allow to settle in for a waterproof result and remove the excess powder with a Powder-Rouge Brush. You touch up the eyebrow using Grimas Eyeshadow/Rouge in a suitable colour. Hint: you can also use a brush (for instance R4 or M4) of which you yourself have cut the hairs diagonally. Work from the centre to the outer areas and do not begin right where it starts. Then you push the hairs upwards and fill in the eyebrow a little from the bottom. 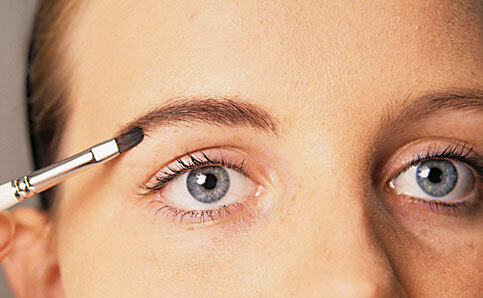 Use the brush to apply a thin layer of Eyebrow Fixer to the eyebrows. Use the brush to fix the hairs in the right direction. You can repeat the process several times, each time only using a little of the product. Eyeshadow/Rouge and Pearl Eyeshadow are very colour-intensive. Take the required colour of eye shadow out using a brush or applicator. Then you run the eye shadow over your hand to test the colour intensity. Hint: an evening make-up can be forceful in colour and have plenty of shine. The Pearl Eye Shadow tints are extremely suitable for this. Read more >> X You can make an eyeliner with Grimas Eyeshadow/Rouge and a little Cleansing Lotion. Scrape a little Grimas Eyeshadow/Rouge loose using a spatula or the back of a brush. 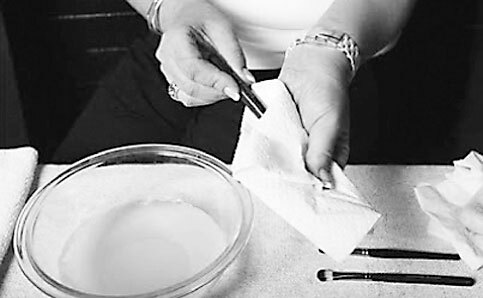 Take it up with a brush that has been moistened with Grimas Cleansing Lotion and mix it on the back of your hand. Read more >> X Upper eyelash edge: pull the outer corner of the eye upwards a little, get the subject to close their eyes and use a brush to place the eyeliner against the upper eyelashes and apply it from the inner corner outwards. Do not start too close to the inner corner of the eye and stop at the outer corner of the eye. If you want to draw the eyeliner line further, do this while the eyes are open and do not pull the skin. If necessary, thicken the drawn line to the desired shape. Lower eyelash edge: apply the eyeliner with a brush from the outer corner towards the inner side, but do not finish too close to the inner corner of the eye. If necessary, fade with a dry brush. Read more >> X If you want to apply Pieces of Eyelash to the entire eyelash, use a smaller size for the inner corner of the eye and the centre eyelashes and finish with larger pieces towards the outer edge to create an attractive natural effect. Read more >> X Apply the mascara from where the eyelashes begin right to the ends of the upper and lower eyelashes with a rotating movement. 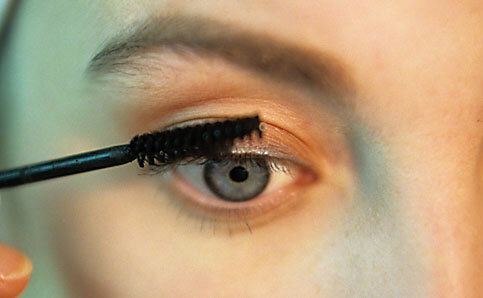 If necessary, brush off with a clean, dry mascara brush afterwards to remove any lumps. 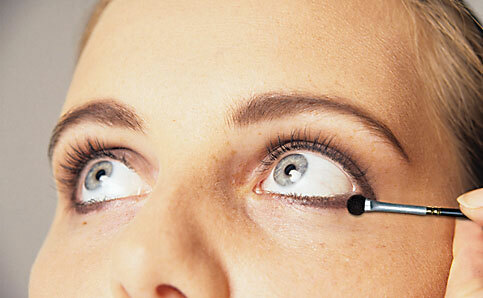 Repeat applying the mascara and the brushing afterwards until you have achieved the desired result. Read more >> X Apply a strikingly-coloured Lipstick. Grimas Lipstick Pearl Pure is an unperfumed, glossy lipstick with no chemical preservatives. 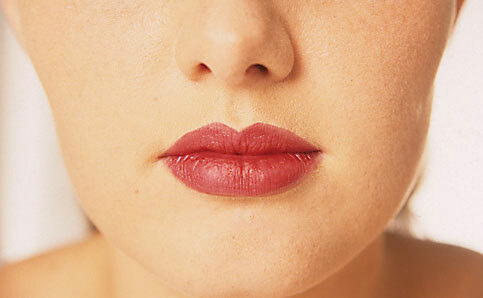 To emphasise the contours or to change them, you draw lines qith a lip pencil, working from the outside inwards. Take the Lipstick (Pure) onto a spatula (even if you are working from a stick) and apply it with a lip brush. First colour the middle of the lips and then colour the edges, working from the outside inwards. For a glossy effect, do not powder off. 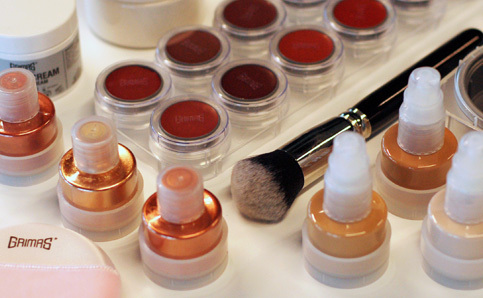 Read more >> X Use a bit more rouge than for a normal make-up. Use the Powder-Rouge Brush to take out Grimas Eyeshadow/Rouge in the desired colour. Put the powder brush vertically and tap with the hand to disperse the powder in the hairs so the powder does not just end up on the tips of the hairs. Smooth the colour out with the flat side of the brush, so do not dab it on. Read more >> X Using a moistened brush you apply some accents on the upper eyelid with Eyeshadow/Rouge Pearl. For an evening make-up or a party make-up gold and silver are very suitable for instance. Read more >> X If necessary, apply for a special effect a little Polyglitter to the lips, cheekbones or the lower neckline. 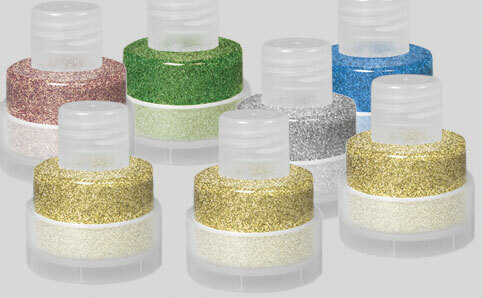 Polyglitter can be applied directly onto the skin or on top of make-up using your fingers, a make-up sponge or a slightly moistened brush.